Kevin Fryling of InScope Magazine, recently published an article about Doug Zipes and his move to becoming a medical thriller writer. 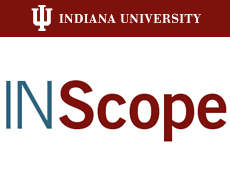 The Indiana University School of Medicine’s weekly publication interviewed Dr Zipes, who is better known on campus for his pioneering in implementing pacemaker technology. Doug Zipes gives a candid account of how he went about writing his first novel ‘The Black Widows’ and how despite a love of the written word, this was not to be as simple as he had first thought.